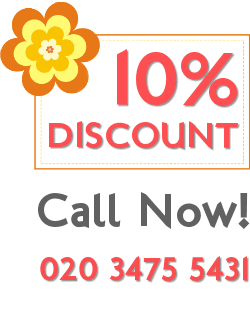 Professional carpet cleaning services in North London provided by Best Cleaners London. Call our company for a quote. There are many domestic cleaning jobs that are too difficult to do on your own. A good example for such a job is carpet cleaning – a very time-consuming and exhausting process that will surely drain all your energy. I just wanted to say that your carpet technicians are so dedicated and polite that they made a great impression to me. The decision to choose you was definitely a good one. Now all of my carpets look fantastic clean. We are one of the professional cleaning contractors operating in London, and we offer an affordable carpet cleaning service that you’ll certainly appreciate. Our carpet cleaning team specializes in cleaning carpets of all types, sizes and conditions. We guarantee that each one of our employees has been properly trained to carry out all kinds of carpet maintenance procedures, and we assure you that they will do their best to meet your requirements. Dear company, I am writing to tell you how lucky I consider myself after finding you and booking your great carpet cleaning service. I highly recommend your work to everyone who is looking for a fast and reliable service. Full customer satisfaction is our top priority, so we’ve taken all necessary measures to ensure that all your needs will be satisfied. We supply our cleaners with top of the shelf cleaning products and modern cleaning equipment that allows them to swiftly and professionally clean all types of carpets. They know how to apply a wide range of cleaning techniques, so we are confident that they know how to approach specific situations in order to get the most out of them. Our carpet cleaning procedures will get rid of stains, bad odors, dirt and grime stuck beneath the carpet’s surface, germs, bacteria and other pollutants. 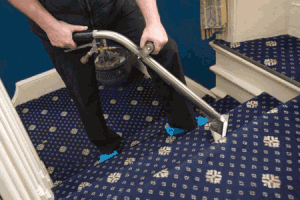 The cleaning methods we use have been tested numerous times and we are absolutely sure that they are currently the most efficient ways to clean carpets. One of the techniques that we use very often is steam cleaning in North London – a unique method that is used to clean all kinds of things. In our case, the steam cleaning is slightly altered in order to improve its efficiency when it comes to carpet cleaning. This technique combines the power of strong cleaning chemicals, and powerful cleaning equipment that can dissolve and flush out the toughest stains. There is a lot more to be said about our carpet cleaning service, so please contact us if you need more information. Our support staff will gladly answer your questions and provide you with detailed booking and pricing information.